This is a stock used 6' x 8' Mini Barn painted tan with navojo white trim. There are 4' double doors painted tan with tan trim. There is a metal peak vent in the backwall and a diamond plate sill at the doorway. 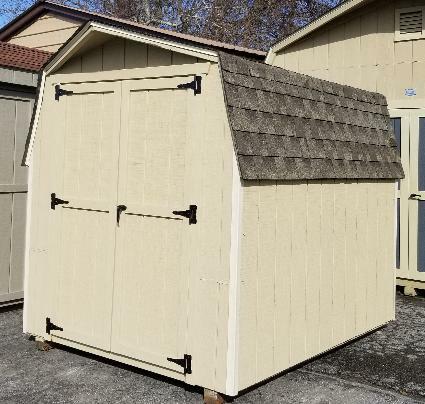 All our Used Sheds are sold As/is.